Cake Smash planning process usually begins around 9-10 months and shoots are scheduled around 11 months so that you will have your images back in time to be displayed at the first birthday. 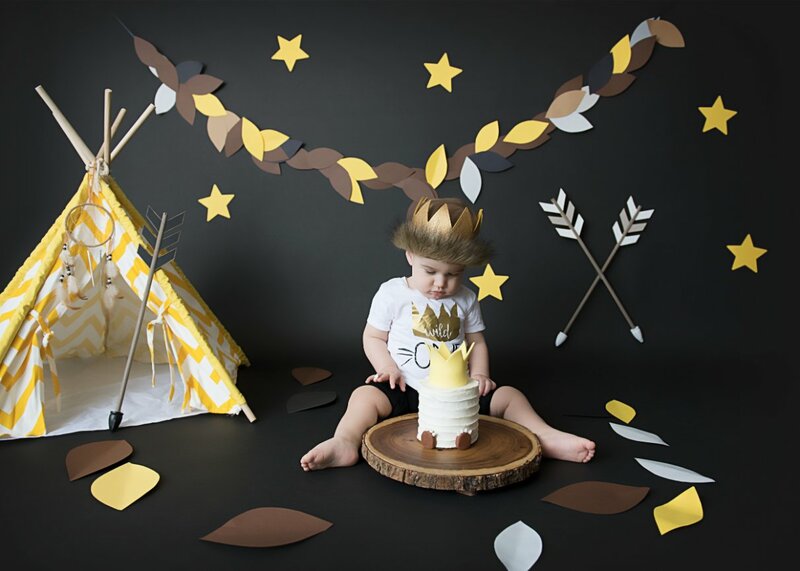 After you choose your baby's unique theme/colors or simply just a special outfit, send the link or a pic for the studio to custom design your cake and plan the set design. Prior to your Cake Smash session, please make sure baby has been exposed to boxed cake and frosting with no reaction. A document with baby's specs will sent to you and due back to the studio 1 week prior to smash for your custom birthday board.